The Black-and-chestnut Eagle is one of the largest eagles found in the Andes mountain range, only slightly smaller than the Crested Eagle and Harpy Eagle. They can be up to 80cm long with a 180cm wingspan. The young (juvenile) bird is white with some brown, getting darker as it ages. After four years it will have full adult plumage, mostly black with chestnut breast and leg feathers with grey tail and primary feathers. The juvenile birds are attractive and less wary of photographers, so there are more photographs of them – although the adults do soar above the tree line, so they are seen more often than other large eagles such as Harpy. Both sexes look similar, with prominent crests of up to 10cm, but the female is larger, with a longer tail. Prey consists of medium sized mammals such as squirrels, monkeys, guans and chickens. Females lay a single white, brown-spotted egg in a nest built out of sticks and placed high in a tree. Very little is known about this Endangered species, so the chance to study nests at the sites supported by World Land Trust through Fundación EcoMinga have yielded interesting reports. 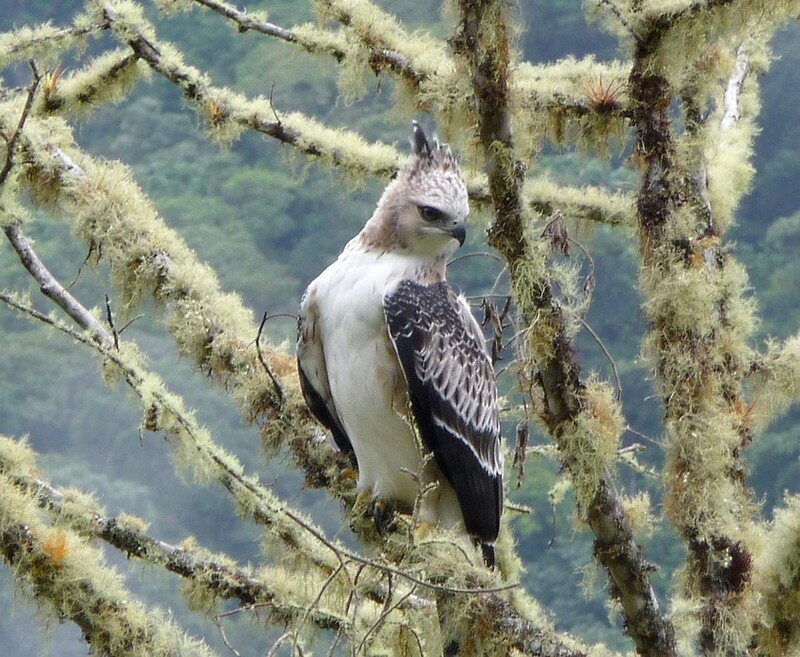 Black-and-chestnut Eagles are found in dense, undisturbed montane forest on the slopes of the Andes. Restricted to the east of South America, interestingly this eagle has a vast yet narrow range, found from Venezuela, through Colombia, Ecuador, Peru, and Bolivia to Argentina. The Black-and-chestnut Eagle is classified as Endangered on the IUCN Red List of Species due to its small population size (thought to be less than 1,000 mature individuals). 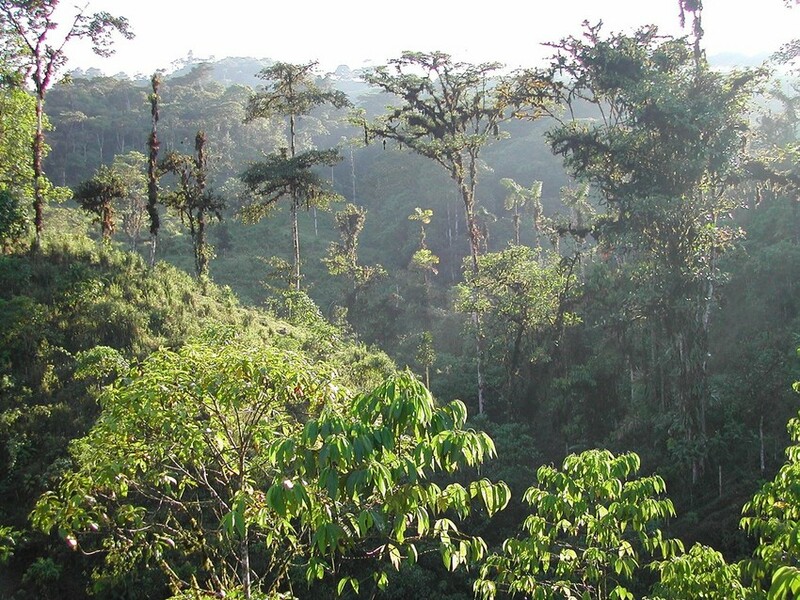 The biggest threat facing the eagle is the loss of its montane forest habitat. Its tendency to hunt domestic chickens can also lead to persecution by humans.